Teachers, school administrators, central office leaders, and School Board members: You’re invited to learn more about the benefits of National Board Certification in your division through quality professional development for teachers that improves student learning and achievement. Please attend the Virginia NBCT Network Awareness meeting this Saturday, November 17, from 10 a.m. to 12:30 p.m. at New College Institute, 191 Fayette Street, Martinsville, VA 24112. There is no cost to attend, and light refreshments will be provided. 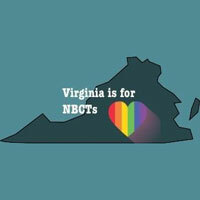 Please RSVP to nbctvirginia@gmail.com (Subject line: Nov Mtg). This entry was posted in Special Event, Teachers - Elementary, Teachers - Secondary. Bookmark the permalink. ← benefitsFOCUS: Your benefits Open Enrollment window closes THIS FRIDAY!